NASHVILLE, Tenn. (April 28, 2016) – Country trailblazer Charley Pride is celebrating 50 years in the recording industry as he announces upcoming North American tour dates throughout 2016. At tour stops, the 36-time chart-topper will perform many of his biggest hits, including those that helped him win the Country Music Association’s “Entertainer of the Year” award in 1971. With timeless classics like “Kiss an Angel Good Mornin’” and “All I Have to Offer You is Me,” fans will enjoy a journey through time as they relive some of the country crooner’s most memorable anthems. The Country Music Hall of Fame member will hit the stage at music venues both nationwide, and into Canada. Pride will make his return to the legendary Grand Ole Opry stage on June 10 and 11, where he has been a member since 1993. The show also broadcasts on 650AM / WSM The Legend, or country enthusiasts can listen in live at Opry.com. "I feel blessed that I'm still going strong after 50 years" says Pride. "I've always loved to sing for audiences and that's never going to change. It's been a joy to visit so many different places in the US over the years. And, of course, I always enjoy travelling Canada. The people of Canada have been wonderful to me going back to the very start of my career." 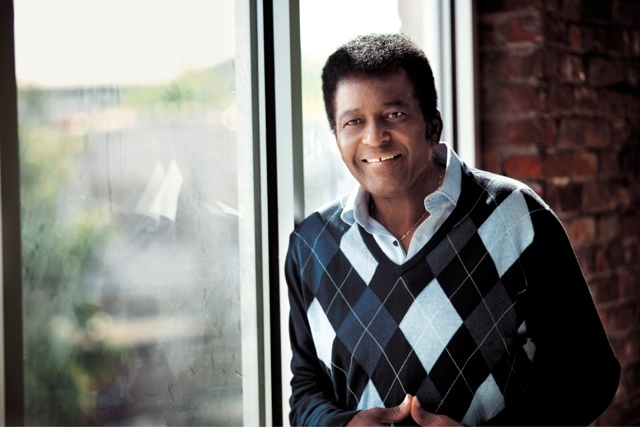 Fans can keep up with the latest Charley Pride news stories, tour date additions, music and more by visiting the Grammy award winner’s website,charleypride.com. And more information can be found on the singer's official Facebook page.